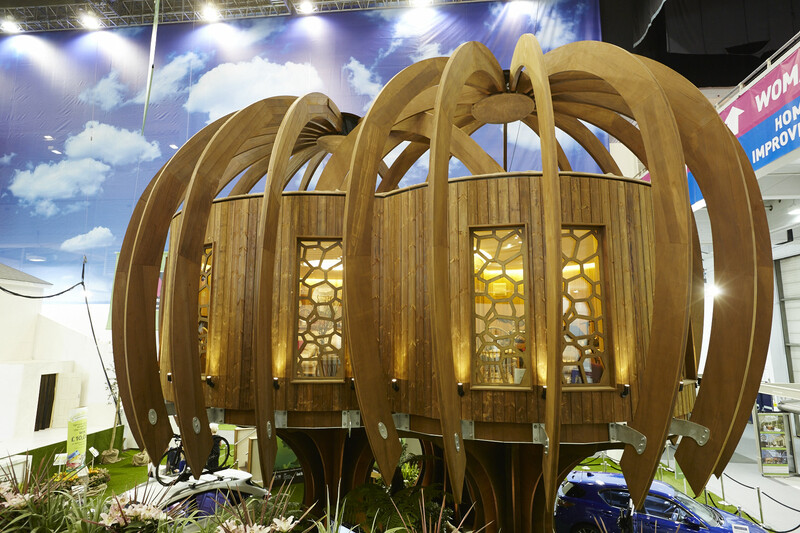 Luxury tree house designer, Blue Forest, showcases its latest project as the centre-piece for The Ideal Home Show in London. Labelled as the quietest house in the world – The Quiet Tree House is a tranquil tree-home complete with next generation sound engineering featuring Pilkington Optiphon™. According to a recent study carried out by the World Health Organization, 40 per cent of Europe’s population is exposed to noise levels in excess of 55dB – about the same level of a noisy office. With this study in mind, Blue Forest has not only coated the exterior physical shell with various organic, recyclable and insulating materials but also low-noise, high-performance technology, including Pilkington Optiphon™. Pilkington Optiphon™ is the ideal choice of glass for sound control in situations where there is excess noise from roads, rail, air traffic and other sources. Produced by combining two or more sheets of glass with polyvinyl butyral (PVB) interlayers, this lamination process enables it to offer not only sound insulation but impact and safety protection.